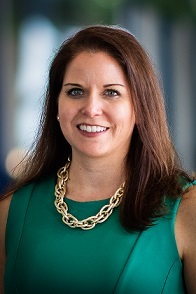 FORT LAUDERDALE, Fla. – CareerSource Florida President and CEO Michelle Dennard has been selected to receive a prestigious 40 Under 40 Award in economic development, the only award of its kind recognizing young talent among economic development professionals. Dennard was one of 40 leaders chosen internationally from among more than 170 qualified nominees in the awards program. The program was managed by Development Counsellors International (DCI), a New York-based firm that specializes in economic development marketing, and Jorgenson Consulting, a national firm serving economic and community development organizations. The award recipients were announced Sunday at a reception held to coincide with the International Economic Development Council Leadership Summit in Fort Lauderdale. Today, Dennard will deliver a keynote address on creating economic opportunities through talent-driven strategies to more than 400 North American leaders in economic development at the annual summit. Dennard was appointed to her current state leadership role by the CareerSource Florida Board of Directors in 2017. She joined the state policy organization in November 2014 as Vice President of Policy. An attorney and member of The Florida Bar, she has more than 10 years of experience in workforce and economic development. Prior to joining CareerSource Florida, Dennard served as the Director for the Division of Strategic Business Development at the Florida Department of Economic Opportunity. She previously served as Deputy Director of the Governor’s Office of Tourism, Trade and Economic Development, providing legal counsel and managing legislative affairs. Dennard is a member of the Florida Chamber Foundation Board of Trustees, the Florida Higher Education Coordinating Council, the Florida Small Business Development Center Network State Advisory Board and the Florida Student Success Center Advisory Board. For more information on the 40 Under 40 awards, visit econdev40under40.com.